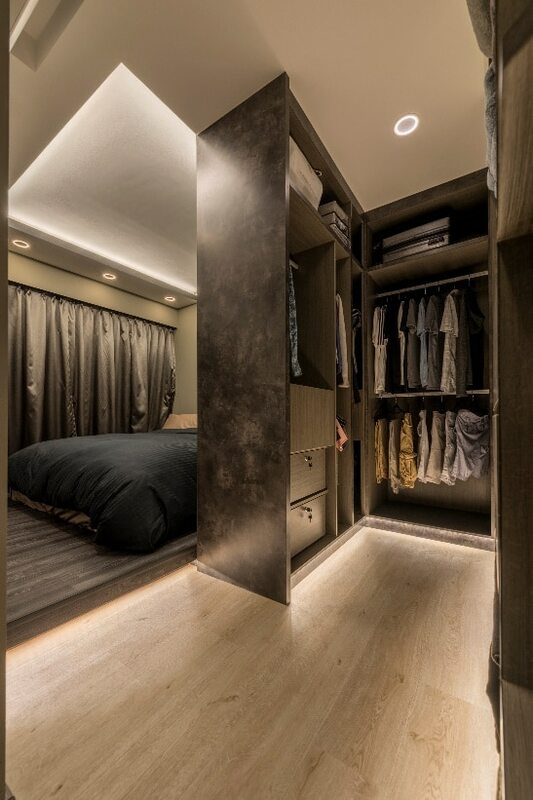 If you’re a fashionista who wants to have a gorgeous walk-in closet but don’t have enough space in their homes, this idea can be your salvation. The compromise starts with dividing a large bedroom space in two. 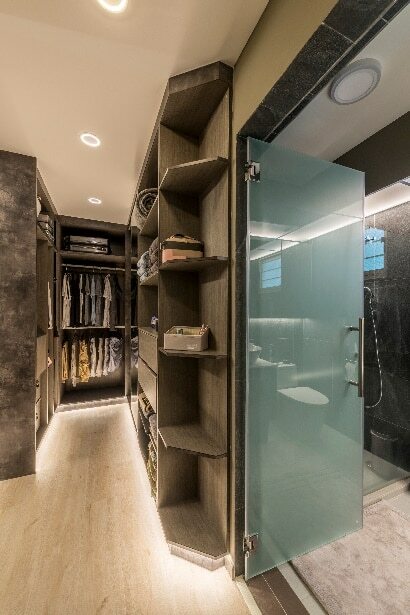 It can also be a three-fourth and one-fourth ratio depending on how large you want the closet to be. The ideal execution of this concept can be seen in this image. Any packing master can tell you that compartmentalization is the key to awesome storage, which is why you have to emulate it in all your units. 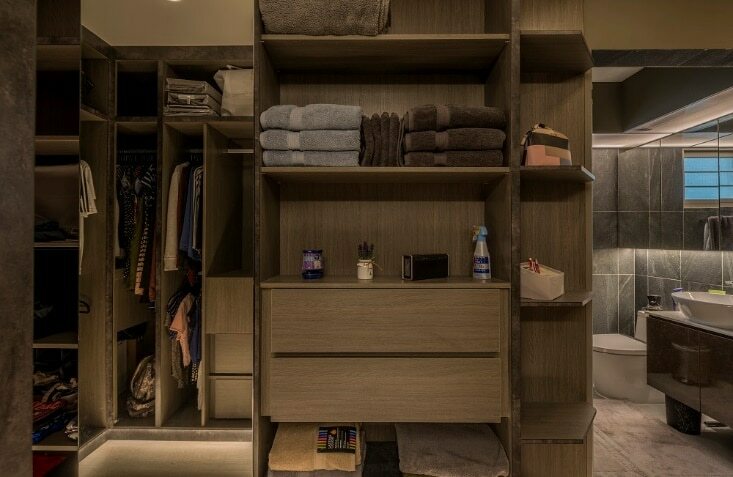 Tall compartments can be used to hang long clothes, larger ones for folded loads, and closed ones for the precious things. The best part is that compartmentalization can make the overall design so much more compact than the open one could be. Vertical storage ideas are rarely ever used in large or medium sized homes, but they are a totally efficient way to maximize and compartmentalize the space. 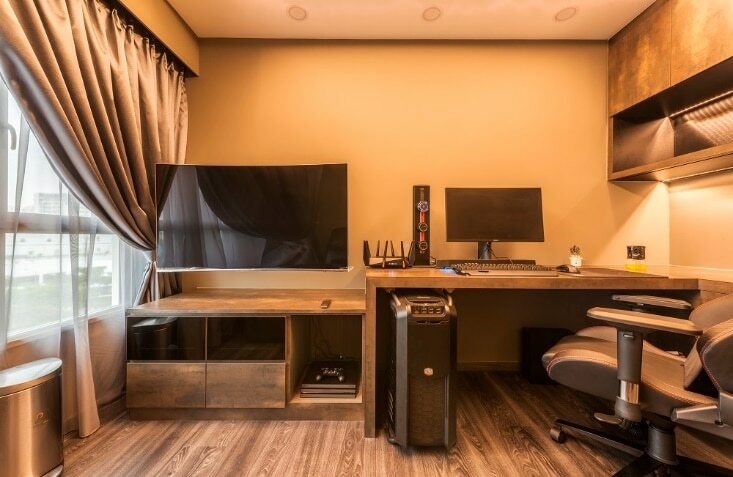 The best part about these is that they can be easily merged with other types of storage areas as long as they’ve been allocated enough space. The one featured at the end of the wardrobe in this image is a great example. Horizontal storage also needs to be carefully rationed so that everything can fit nicely into their allocated spaces. 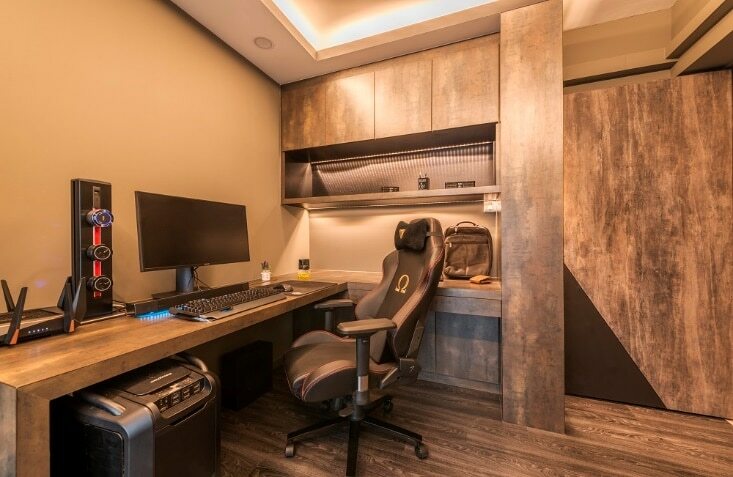 The study room and living area are prime locations for this kind of storage. Media consoles and custom designed study desks are the perfect way to emulate horizontal storage ideas in a small amount of space. This image features the perfect hybrid of these two concepts. If your home has an adequate amount of space, you can merge the tall and small storage concepts to enhance organizational quality. These usually include artfully blending in-built storage ideas like cabinets and desks. This mage shows an excellent example of how you can make a successful one.